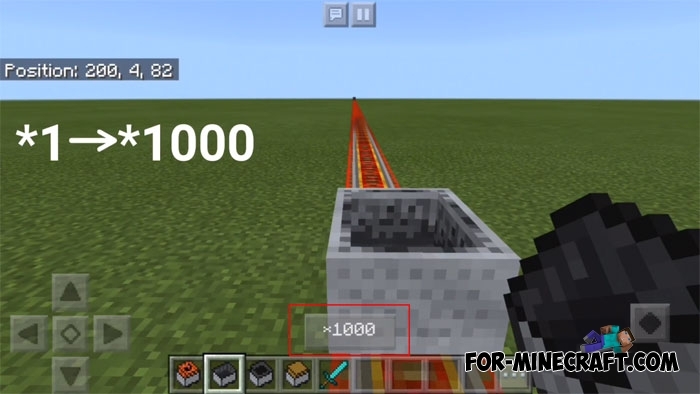 This is quite a useful tool for those who are fond of railways and minecarts in the Minecraft Bedrock Edition. No Speed Limit addon allows you to slow down and accelerate minecarts directly while driving with the help of a convenient button. All types of minecarts are supported, while the speed does not depend on rails or mechanisms, only you can adjust it. Although the addon works on any smartphone, many low-end ones may have difficulties if you install an ultra-high speed of your minecart. At that moment, the minecarts will accelerate too quickly and the chunks will be loaded slowly in separate parts most likely, keep this in mind. How to install the No Speed Limit addon? 2. Go to the game setting and activate the file.